At a show or concert, a guest list is a list of people who are allowed to enter the show for free or without a ticket. People on the guest list usually include the press, anyone working in some capacity for the musicians, and if there is space, the friends and family of the musicians and of the people who work for the band. Being on the guest list is not always the same thing as having an "access all areas" pass or a backstage pass. At larger shows, there are usually two guest lists: a list of people who are to be allowed free entry into the show and a list of people who should be given a backstage pass. It is up to the musicians and the musicians' representatives just who ends up on which list. The number of people that can be granted guest list places is determined in advance of the show between the promoter and the band/band reps. Usually, if a show is sold out, the promoter will be very strict about sticking to the guest list quota out of necessity, but often, if ticket sales are slow, the promoter will be willing to add additional spaces on the night of the show. Wondering how you can use concert guest lists to promote your event or music? 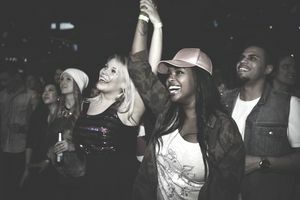 Some music promoters, venues, or concert halls choose to spread the word on upcoming shows through volunteers or street teams (a street team helps to promote and create buzz around shows and concerts). Often, spots on guest lists are offered as incentives for the work put in by these volunteer promoters. An influencer is a regular person with a large following or audience (think bloggers, writers, artists, and social media stars). Providing these influencers with guest list passes as contest prizes are beneficial to both you and the influencer as contests over social media can create a lot more buzz from its ”shareability” and “viral" nature. The influencer can continue to grow their audience through fun contests while you are able to get the word out on your event to large audiences. Giving local radio stations a large number of tickets and guest passes can ensure hours of promotion and on-air plugs leading up to your event. Providing individual writers, journalists, bloggers, and industry experts with their very own guest and press pass is one sure fire way to get that person to attend your event and perhaps write a good review. There is nothing worse for your career than having empty seats and space available at a music event. Being strategic about who and how many people you put on the guest list can help elevate the concert experience for both the audience and the band.